Sew on Button-Mini-SIX tube pump, grey PLA plastic with hand painted details. Integrated tread loop on the backside. Sized to fit smaller plush friends. 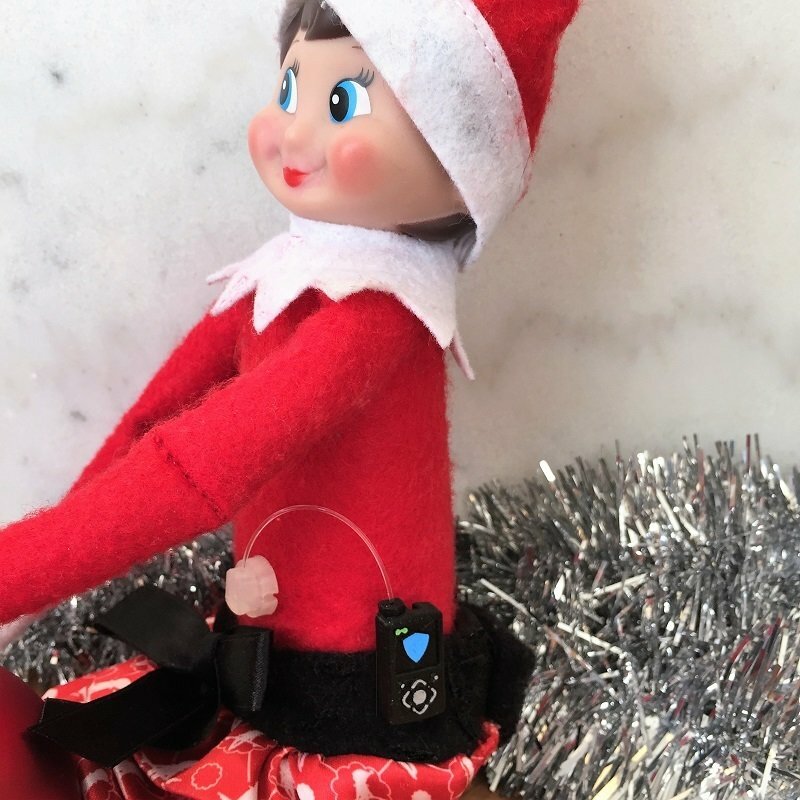 Button-Mini-SIX shown on a standard sized Elf on the Shelf.